Punctures due to perforation or nipping impact (edges of sidewalks in the city or rocks for mountain bikes, etc.) are a major fear among all cyclists. Repairing or changing an inner tube is not always a very simple operation. An inner tube must be regularly re-inflated. 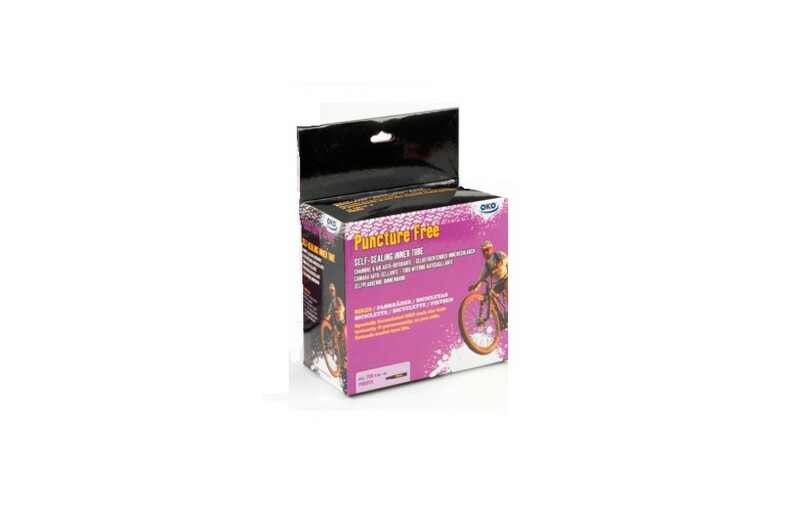 Thanks to its uneven design, the MICHELIN Protek Max inner tube undergoes a "compression" reaction in the event of piercing or nipping (the hole closes up naturally), whereas a classic inner tube has an "extension" reaction (balloon effect). This self-plugging effect is enhanced by adding the preventive sealant originally supplied.